Embark on our vessel for a day cruise to the Iles de Lérins and the Esterel Massif! Departing from the Vieux Port, we set sail for the Baie de Cannes. Enjoy relaxing moments of abandon between the two islands and in the Esterel inlet. bathing, snorkelling, dinner on-board and plenty of relaxation. Come aboard our vessel for a half-day cruise to the Iles de Lérins and the Esterel Massif! Departing from the Vieux Port, we set sail for the Baie de Cannes and offer you a relaxing break between the two islands or in the Esterel inlet. 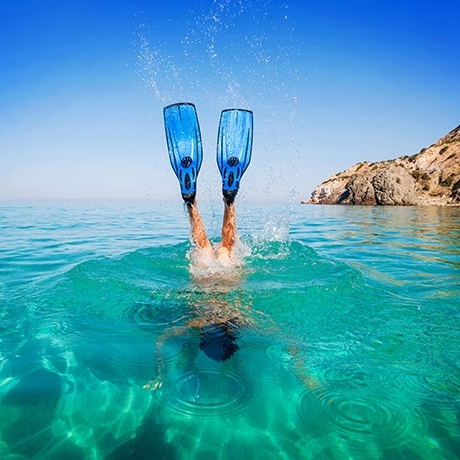 bathing, snorkelling and plenty of relaxation. Come aboard our catamaran for a half-day cruise to the Iles de Lérins! Departing from the Vieux Port we set sail for the Baie de Cannes. Enjoy a relaxing break between the two islands with lunch served on board. At sunset, enjoy a magical moment on board our catamaran! Departing from the Vieux Port, we set sail in the Baie de Cannes in the direction of the Iles de Lérins. During this enjoyable evening, a glass of champagne will be served on board. Come aboard our ship and enjoy and evening of breathtaking fireworks! A cold buffet will be served on board. 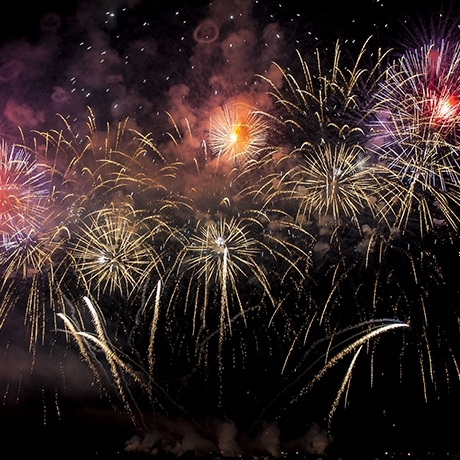 Facing the Croisette, a fireworks display will unfold and dazzle before your eyes! Come aboard our catamaran for a Royal Regatta experience! 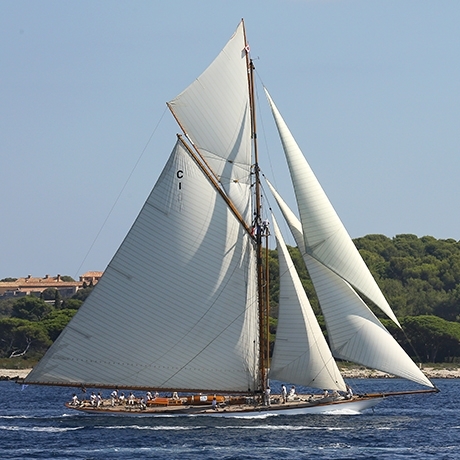 During this prestigious event, we set sail from the Vieux Port following the participating sail boats in the Baie de Cannes and along the face of the Esterel Massif. A buffet lunch and glass of champagne will be served on board.